And your opinion on authenticity. 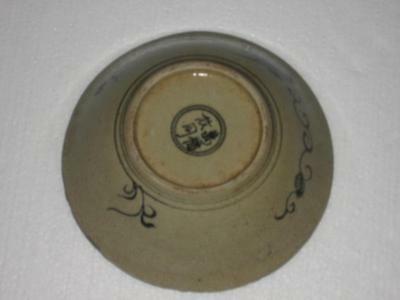 It seems to read 'Wanfu Youtong', an auspicious expression. As the characters are a bit small in the picture I could not confirm whether or not the third character is written the wrong way. Anyway, this is a low-quality fake. Apparently they wanted to copy a Kraak pattern, but it is too far from the real thing. 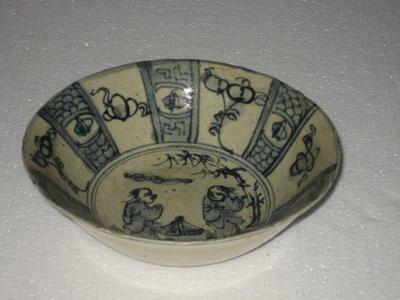 The impression this bowl gives is that the painter had no idea of Chinese porcelain patterns. 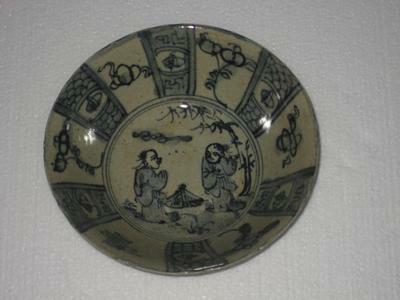 There are indications that it might have been made in SE Asia.